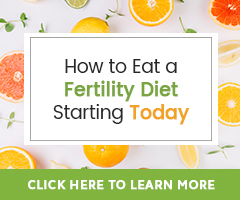 Finding the cause for your fertility issues and infertility is important to understand for treating the situation effectively… Just like with western medicine. 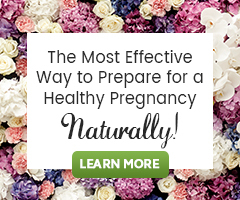 Knowing if you are ovulating, or have low progesterone makes all the difference in how to treat the imbalance. It is also extremely helpful to know if the situation lies within the man, (which it happens to be in 40% of the cases.) This can be found out through testing you can do or have an endocrinologist do. But that is not the end all. Having insight as to what the issue is gives you the knowledge to know where the body has become imbalanced… Than you can begin to support those systems and balance the situation. If you look at any of the causes of infertility, they are not instant, they can not be caught from your neighbor or the air like a cold can. You one day did not just stop ovulating for no reason, something happened in your body that caused the ovaries to stop releasing eggs. This could be caused from stress happening in your life on a constant basis, which the body translates as a bad time to get pregnant and stops the ovaries from releasing eggs. Or it could be a hormonal imbalance where the cycle is off and ovulation is not allowed to occur. Not ovulating is the outcome of both of those situations. If we look at the cause of the result (not ovulating), and treat the cause… than the body will naturally balance it and ovulate regularly.